beef & veggie bar bbq hickory tomato: grass-fed beef, organic vegetables & fruit (red bell pepper, tomato, apricots, dates, kale, garlic), chipotle pepper, ancho chile pepper, sea salt, spices, celery powder. beef & veggie bars chilli beef: grass-fed beef, organic vegetables & fruit (red bell pepper, apricots, dates, kale, garlic, onion), spices, cayenne pepper, sea salt, celery powder. turkey & veggie bars masala spinach: free-range turkey, organic vegetables & fruit (spinach, dates, apricots, onion, garlic), spices, sea salt, cayenne pepper, celery powder. Try the entire Wild Zora lineup and save 15% too! Wild Zora meat & veggie bars include a balance of grass-fed beef or naturally raised meats. Wild Zora uses only meat that is humanely raised without added hormones or antibiotics. Each bar is mixed with organic veggies and a small amount of organic fruit. 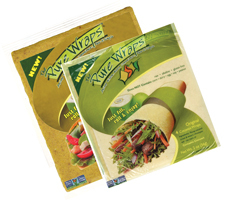 Each package contains about one serving (1.1 oz) certified-organic veggies. Wild Zoras cheese recipe uses only cheese that has been produced without rBST. Grain-Free, Gluten-Free, Soy-Free, & MSG-Free. Made without nuts, peanuts or treenuts.No added sugar or chemical additives of any kind. 100% REAL FOOD cooked in a USDA-certified kitchen!